Works as advertised. Cheap compared to Intel Core i5 equivalent. Not the best value for money but, as mentioned in some guides. If you got it at ~$50 or less then you're good. from completed build My Very First PC Build! Doing the job perfectly fine I seen it come up cheap on Ebay and took the chance and so far is running all games with no problems. Pros: This CPU works well for gaming. It can run most games and keep up with my GPU. Very easy installation. Cons: Trying to unlock the cores lead to my PC not being able to boot, requiring me to reset CMOS. Is very slow with video editing and graphic design. 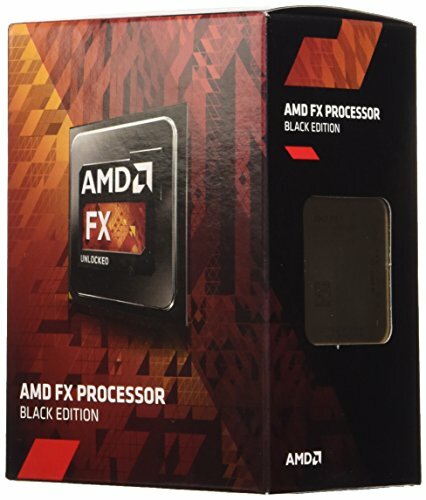 I used to hate the FX series because I'm a Phenom fanboy and Bulldozer and its brethren turned out to be huge disappointments, but I got a certain affection towards the FX4300, of all chips. While the build I used it in was not overclocked, I can tell you it does overclock well, right up to 5Ghz. For a LAN Party Build plus an RX460, it can beat the best FM2+ chips... Yeah, for a base Piledriver chip. If you're going to get this in 2017, ensure to find it as dirt cheap as possible, it can't be worth more than 30/40USD. Great for my use and not too expensive although they are 7 years old. Bought used for 35$, it works. Not as fast as modern CPU but it's ok.
Old, but great for a HTPC build. A decent CPU, definitely gets quite hot, really cheap tho (about 10 Pounds of ebay if you are lucky).